Vaido (Võrumaa, Estonia) on 6 February 2019 in Cityscape & Urban. Such wonderful light . . 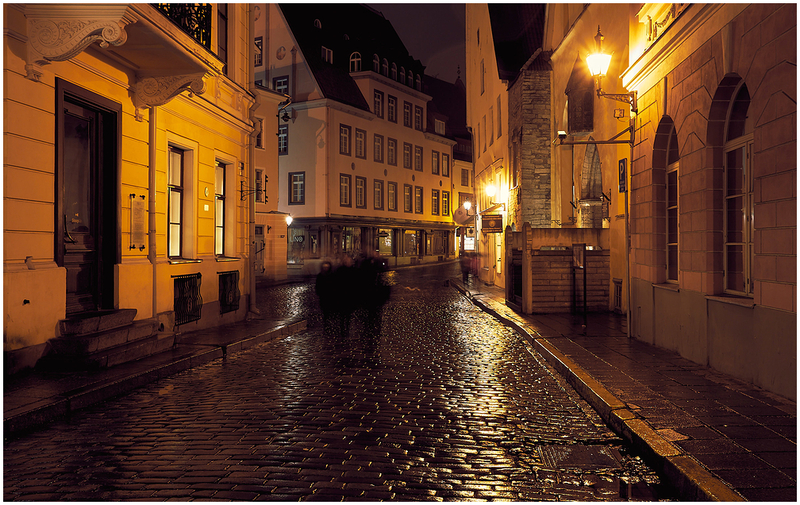 This is a fantastic old town city street at night, other than the apparitions lurking around ;-) I like the light reflections in the wet cobblestone surface that help to enhance its texture and detail. Illuminated buildings look beautiful as well.